In Cambodia, the vast majority of the population lives in rural areas and sustains its livelihood from agriculture, especially rice farming. 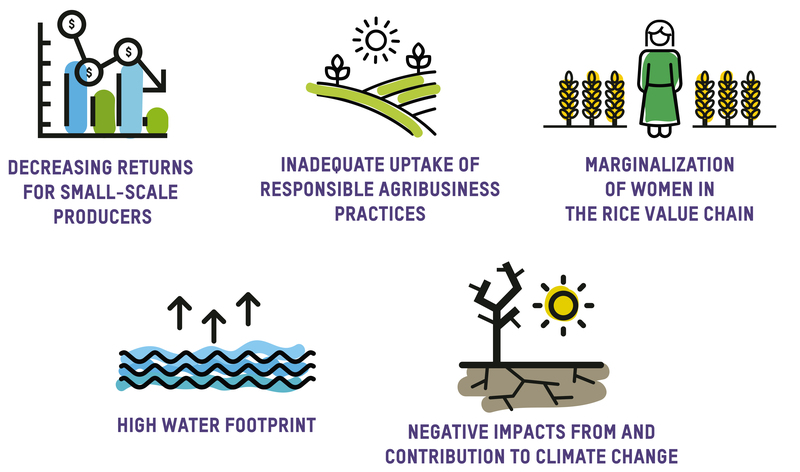 Oxfam sees rice as an important and strategic commodity, both in Asia and worldwide. 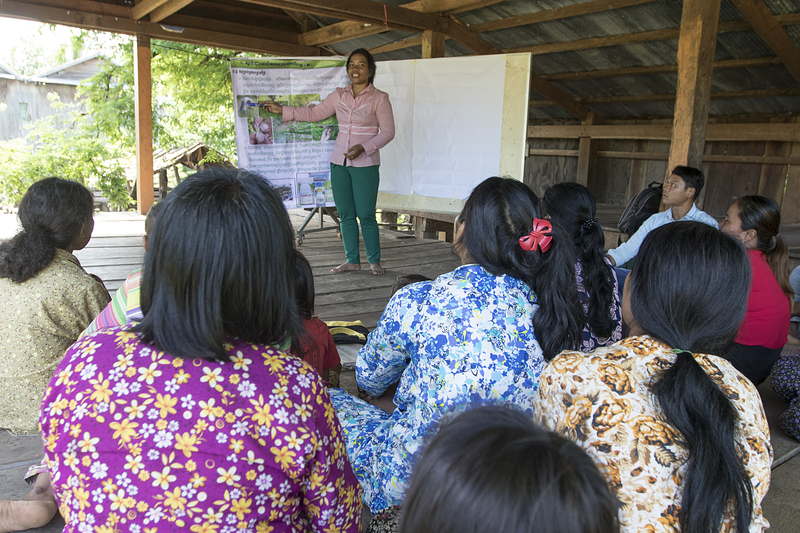 In Cambodia, rice farming is a key source of income for smallholder producers and their families, especially women. Yet, many rice producers remain poor and vulnerable because of inequalities in rice value chains. Based on the recognition that financial viability and gender equitable and sustainable supply chains are not mutually exclusive, GRAISEA aims to promote win-win-win partnerships between communities, small-scale producers and larger businesses. 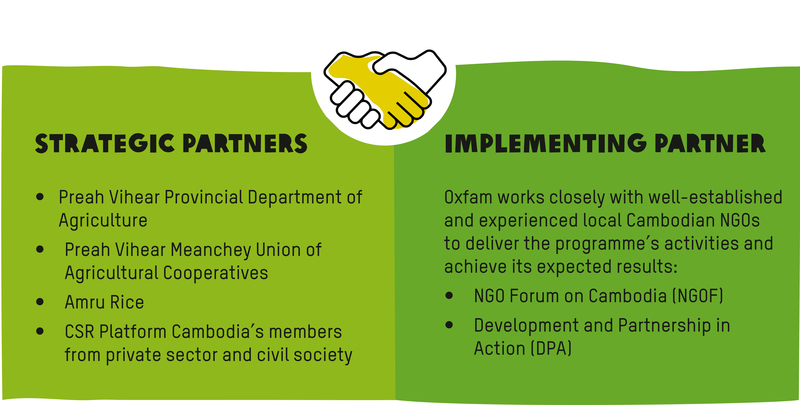 The GRAISEA 2 programme in Cambodia seeks to achieve transformed opportunities for marginalized men and women in the agricultural sector in Cambodia, through inclusive value chains and business models that drive women’s economic empowerment and climate resilience. Supporting men and women smallholder farmers in building their capacity to participate in agriculture value chains and benefit fairly from economic opportunities. Engaging with and supporting market actors in agricultural value chains to deliver opportunities that integrate smallholder producers, promote women’s economic empowerment and support climate resilience. Engaging with government actors and coordinating with civil society organizations and NGOs to influence national policy frameworks to drive inclusive business models that support women’s economic empowerment and climate resilience. Technical and capacity building support to selected agricultural cooperatives in Preah Vihear and the Preah Vihear Meanchey Union of Agricultural Cooperatives and to farmers in Kompong Thom growing rice according to the Sustainable Rice Platform’s standard and performance indicators.